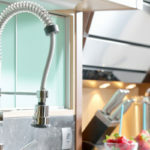 You can make your kitchen stand out from the rest for less with these cool renovation ideas for every budget. The average kitchen has a fridge, freezer, countertop space, cabinets, as well as a stovetop and oven. But not every kitchen has vacuuming baseboards, chalkboard walls or floor-to-ceiling wine racks. Who wants to be ordinary in a world that offers so many opportunities to stand out? With a little creativity you can turn your kitchen into a powerhouse of opportunity. There’s never enough cabinet space, so why not add more cabinets by making use of your cabinet baseboard area? This empty space usually serves as nothing more than a great place for crumbs to collect, but it can be utilized by adding drawers beneath your lower cabinets. When you buy wholesale cabinets from us, you’ll save enough money off retail prices to afford the additional cabinets, and then some. If you have a big family or entertain a lot, you will love having two dishwashers instead of one. Islands add a lot of functionality to your kitchen, but they take up a lot of space. Make the most out of this space by installing a mini fridge to the side of your kitchen island. Not only does it look really sleek, but also it gives you more space to store things like waters, sodas, wine and beer. Pull out cabinets look like they are built in, but they can actually roll right out from under the countertop. As a result, you gain additional countertop space to cook or prep food as needed. If you have an awkward narrow strip of unused wall space, it doesn’t cost much to transform it into a wine rack. You could even go DIY-style with this one, adding rows of cubbies deep and wide enough to fit wine bottles. Yes, this is real, and yes, you need it! A vacuum can be built directly into your baseboard so all that you have to do is sweep crumbs close to the wall and press the vacuum on with the toe of your foot. And boom, cleaning made simple! Adding accordion glass windows to your kitchen brings in lots of additional natural light. This makes a great place to set up an outside bar area that is directly linked with the kitchen, making it super simple to serve guests and family members right through the window. 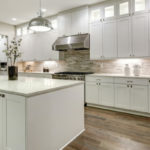 Kitchen backsplashes are commonly covered in pretty tiles, stone, granite or some other material, but if you have a small kitchen you might want to consider a mirrored backsplash. Kitchen designer Stephanie Stokes has a special talent for making closet-sized kitchens look larger. She installed a mirrored backsplash in her tiny New York City kitchen, which is only 48-sqaure-feet. As a result of her genius move, her kitchen looks and feels a lot larger. 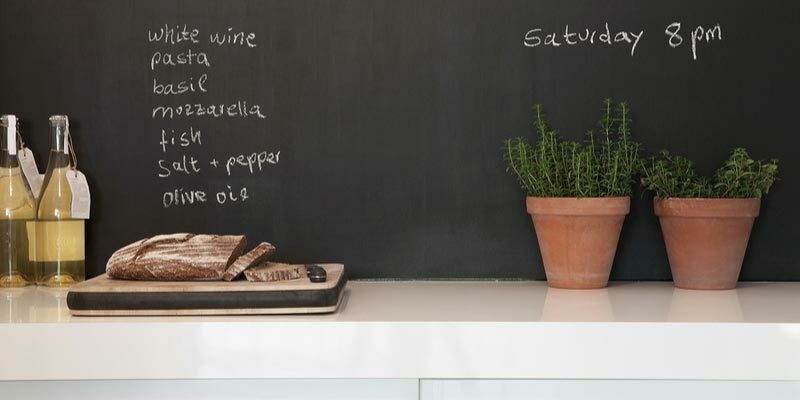 If you’re into the chalkboard craze, consider creating an entire chalkboard wall in your kitchen. All you need is chalkboard paint to make it a reality. As soon as you’re sick of the chalkboard look, it’s super simple to take it down and put up something new. Instead of transforming an entire wall into a chalkboard, you could instead focus on one side of your kitchen island, or the backside of cabinets. These more subtle locations still add charm and functionality to your space without hogging up an entire wall. Do you have an old dresser sitting around your house? If not, you can likely find one for cheap at a local second hand store or on sites like LetGo or Craigslist. You can transform an old dresser with a fresh coat of paint and new hardware, creating the perfect kitchen accent piece. This offers an affordable way to add additional storage for dishes, utensils and so forth. 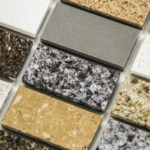 No matter what ideas you have for your kitchen renovation, make sure to purchase your countertops and cabinets wholesale from us! 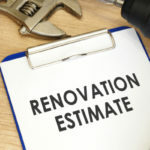 Our goal is to help you get the most bang for your buck when it comes to remodeling your kitchen. We save you money on the big stuff so that you have more room in your budget to splurge on the fun stuff.